You’ve just bought your new shiny bike and you’re looking like a pro in your cycling gear and you’re ready to ride in the same spirit as Sean Kelly, Chris Froome and Bradley Wiggins. You’ve signed up with Strava and you’re seeing early success. This is wonderful and no doubt you will soon be building your base miles. The problem comes when you hit a wall and progress begins to halt. Some find this too demoralising and give up the sport; others find cycle training camps and take their cycling to a new level. In this Beginners Guide to Cycling Training Camps we look at the aspects of cycling that a good training camp improves and how this relates to improving your overall cycling performance. The basic idea of gears is that they allow you to maintain a steady manageable cadence (the number of revolutions of the crank per minute, ie. the rate at which a cyclist is turning the pedals) whether you are riding a mountain road or riding on the flat. This optimises your energy use for the best efficient ride you can have. The more your energy is optimised, the more successful ride you will have. Expert coaching in gear use will help you optimise your energy use and avoid common mistakes new riders make. For example, many riders do not look ahead to see what challenges are faced but instead are only aware of what is immediately in front of them. Looking ahead and selecting the right gear before you need it will help you avoid the dreaded gear crunch and help to maintain cadence. When gear crunch occurs you stop-dead, or slow down in a high gear making the pedals harder to turn to build up speed and momentum. Not only will this impact on your time, but it will sap your energy as you will use more energy to get back to a good, comfortable cadence. The other aspect of gear use to try and master, is not changing down too early when approaching hills. As your cadence increases you will waste energy as your selected gear is too low. Again, this wastes energy as you turn the pedals too fast for little gain. By riding more hills you will learn to feel what gear is correct to maintain cadence and climb the hill more efficiently. A cycling training camp expert covering this in detail will improve your gear use and your overall times as a result. This will also help you to enjoy your cycling more. Riding in a group, peloton style, is a very different experience to riding solo or with a friend. When cycling in a group, it is important that you are aware of what is going on around you at all times. Unless you are leading the peloton, riders can be in front, behind, and beside you. When in the middle of the peloton you should leave enough space in front of you to have time to react should the speed of the peloton change, or an emergency occurs and you need to stop. 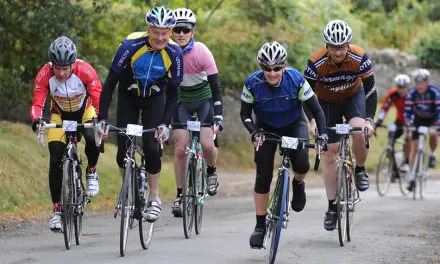 Be especially cautious if riding with strangers, which can often happen in sportives. On training rides, it is important to do your share of leading the peloton. At these times you have a responsibility to guide the peloton away from dangerous situations through communicating oncoming hazards and where possible avoiding potentially dangerous road hazards such as potholes. 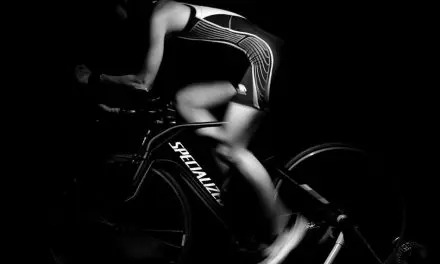 Peloton riding allows you to ride further for less energy expenditure, as the wind resistance is lessened by the riders at the front of the peloton. This is why it is important that on training rides you do your share of leading the pack so that everyone benefits. To this end always keep pace with the peloton unless you need to drop back. In this instance signal to all the riders that you need to do so, and when safe move out from the peloton as quickly as possible. If you can become a skilled peloton rider, you will ride further for less energy and as your cycling skills increase, and you will be in a good position to perform sprint finishes. 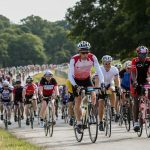 Training camps give hands on experience at riding in a peloton which is invaluable to better performance both in sportives and on training rides. Braking and cornering are not always thought of as skills to master, but if you improve in these areas again you will improve your times and make better use of your energy. Newer riders often brake too soon killing their momentum, while poor cornering saps your energy and adds unnecessary distance and time to your ride. Good braking and cornering go hand in hand with gear use, and looking ahead, adjusting your gears and speed in accordance with forthcoming junctions and obstacles, will help you maintain the correct cadence for as long as possible. If you do have to stop or slow down, you will be ready to speed up again as needed without experiencing gear crunch. Good use of breaks and cornering will help you optimise your energy levels and your times. If there is one aspect most road cyclists at any level want to improve is their ability to climb. This is where a cyclist earns their stripes and professional riders gain notoriety among other professionals for their climbing skills. There are many elements which need to combine to make you a good climber. These include gear use, nutrition, fitness, and the right mindset to keep going especially if you are riding a beast such as Mont Ventoux. A good cycle training camp will give you the knowledge needed to take on and conquer the toughest of climbs. Many riders once proficient will look for hills to climb to improve their skills. To ride any distance understanding the foods to eat in and out of the saddle is vital to success. Out of the saddle, energy foods which boost your fitness and help you reach your optimal riding weight will see your energy levels rise for every ride. When riding over an hour you will find that you can avoid the dreaded bonking by taking on carbohydrates allowing you to ride further. As well as food use, keeping hydrated and using electrolyte tablets is vital. This will help you keep the pedals turning on the longer ride. Good food choices are always covered in detail by good cycling training camps, as their importance to cycling success cannot be overstated. Many training camps pass on the knowledgeable basics, as what combinations of food and liquids work is individual to each rider. There are many choices from eating natural foods to especially formulated cycling energy gels. A training camp will help you work out what works best for you. Most cycling training camps tend to emulate Team Sky and other pro peloton groups by basing themselves in Mallorca. The Spanish island was once described by Sir Bradley Wiggins as a “Scalextric set for cyclists” and he famously trained on Sa Calobra before his 2012 Olympic triumphs. The mountain has 26 hairpin bends. Over 43,000 people have attempted the same climb and recorded a time on Strava. Mallorca’s roads are smooth, the Tramuntana mountain range a challenge, and the culture of the island is very cycle friendly. Many cyclists feel that it is the perfect place to go to improve your cycling, especially since it now boasts the longest amateur sportive in Europe in the form of the Mallorca 312. If you have hit a wall with your cycling and can’t work out why, a good cycling training camp may well be the answer to improving performance, and giving you that sense of achievement and inspiration needed to reach your next level in this most wonderful sport. To learn more cycling training camps visit SportActive.net. As well as cycling experts, the legend Sean Kelly trains with all levels of cyclist in April and October. Just imagine what you can learn from him.